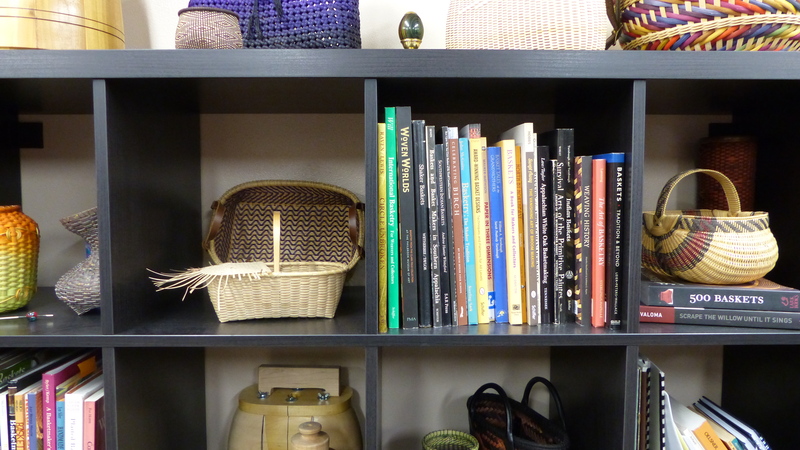 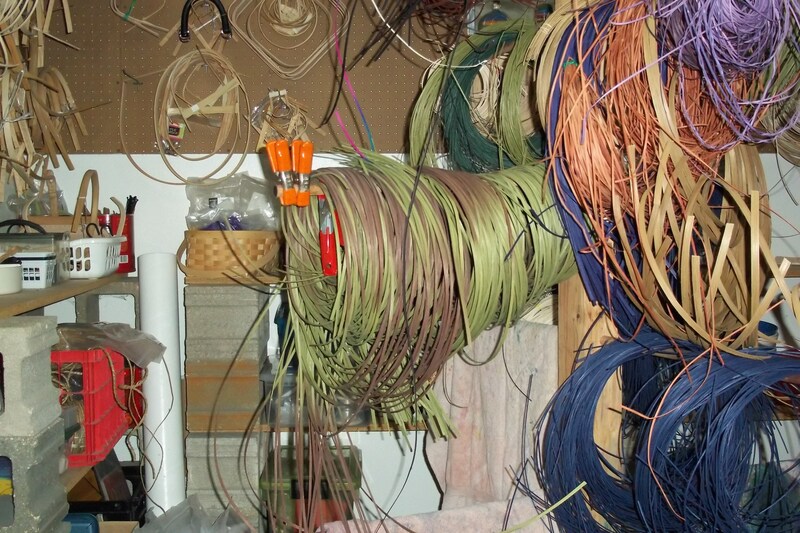 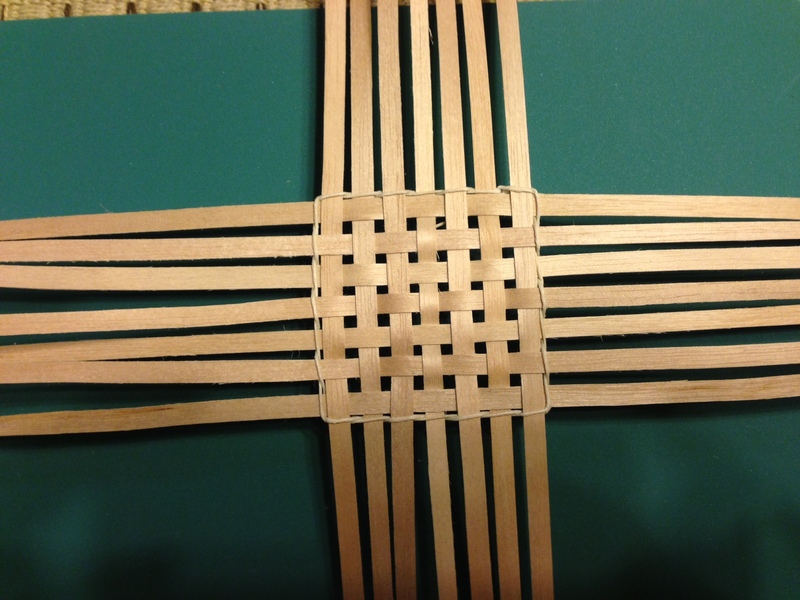 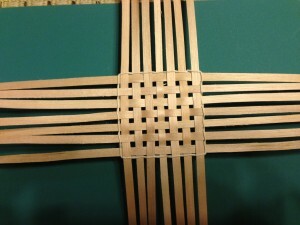 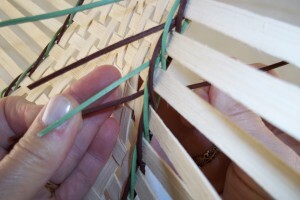 A very long time ago, I said I was going to do a series of posts on weaving basket bases. 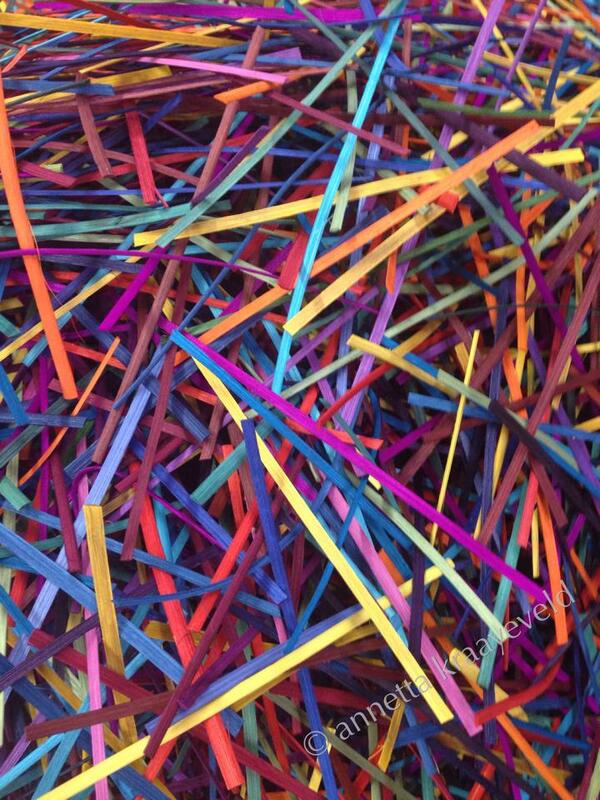 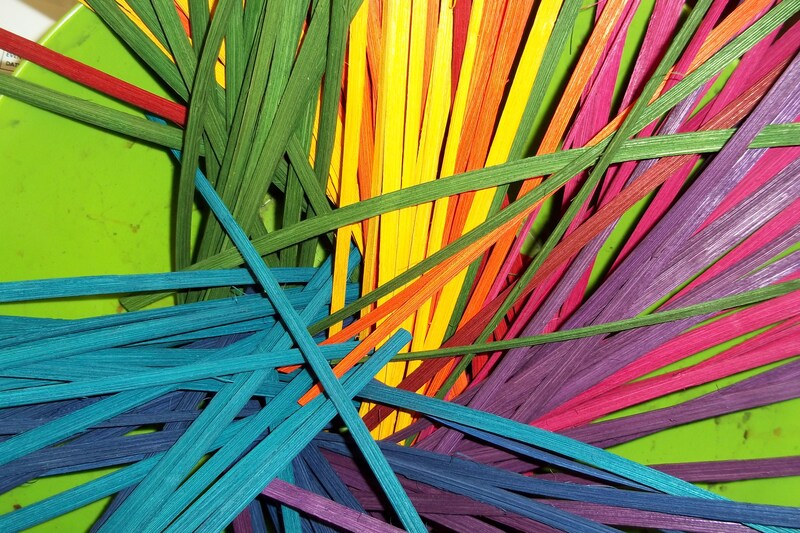 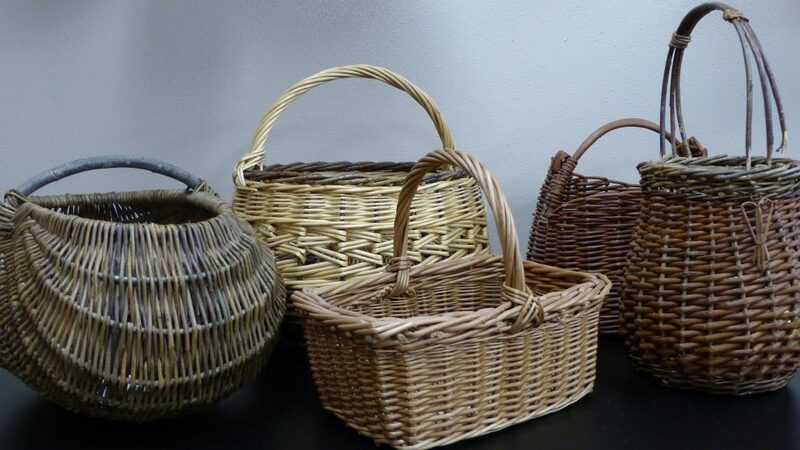 Well, I get distracted – there are so many basket related topics to write about, my list just gets longer and longer! 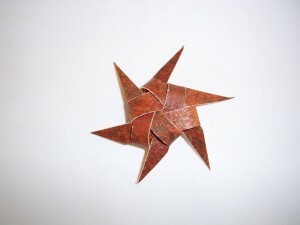 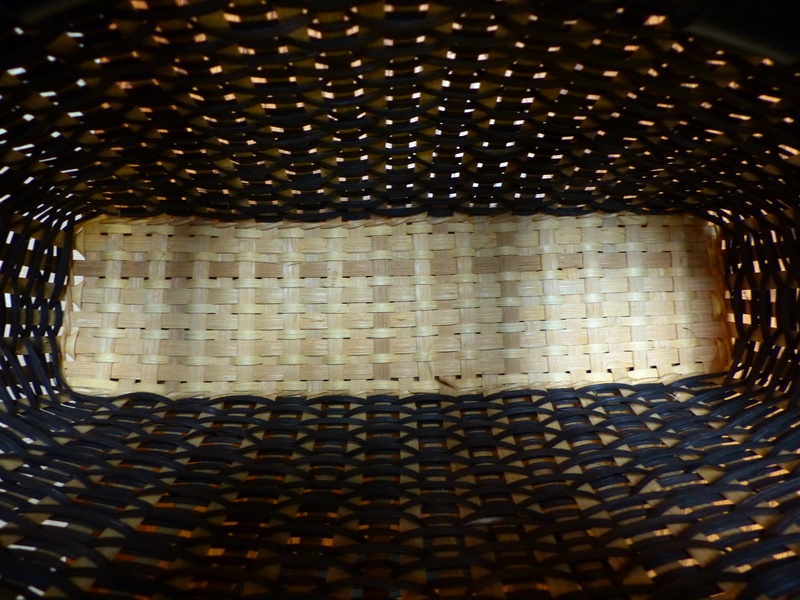 The good news is a few weeks ago, I wove this base and got some photos. 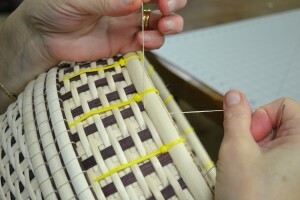 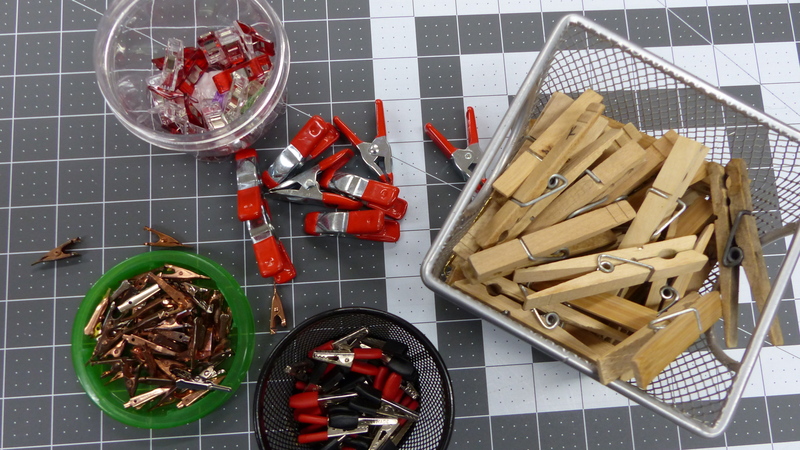 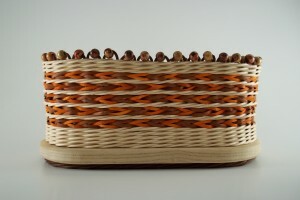 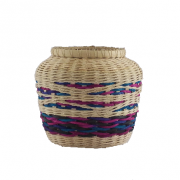 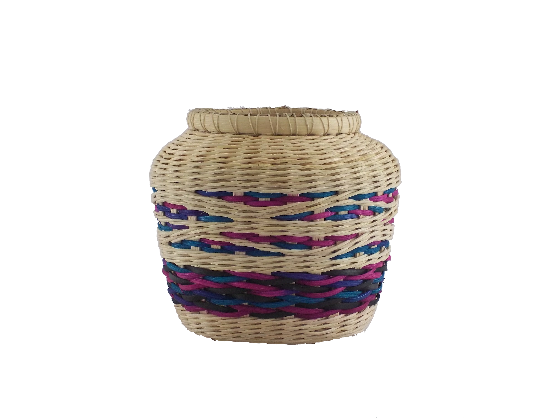 So here it is – a tutorial on the continuous weave filled basket base. 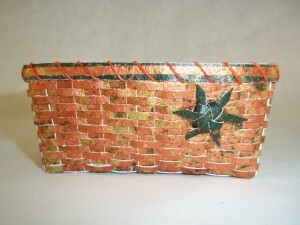 Today I am posting a tutorial on another way to double lash your basket. 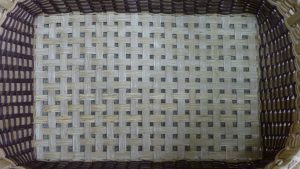 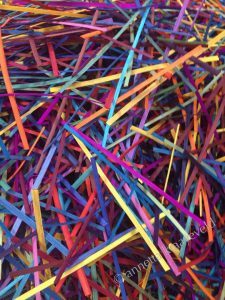 Last month, I posted ‘Lashing a Basket with Waxed Linen‘ and, in that post, I showed how to lash with waxed linen and how to do a V lash. 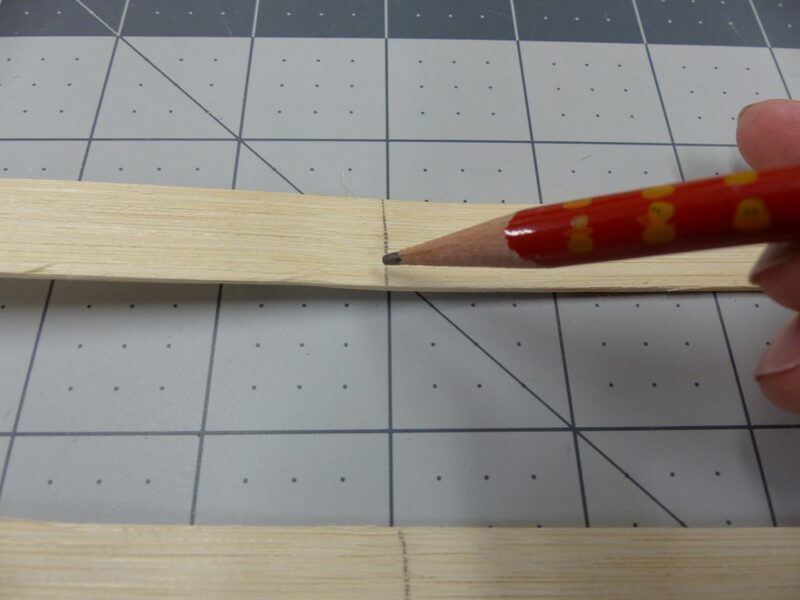 This tutorial will show you how to lash a basket going around the basket once and creating a double lash with a double X on each lash. 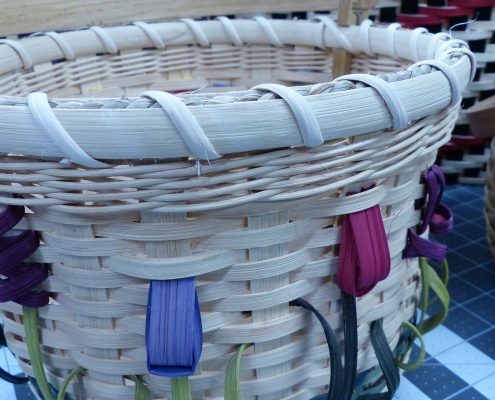 If you are new to lashing with waxed linen you may want to read ‘Lashing your Basket a Waxed Linen‘ to learn how to start the lasher, add on, and end the lasher. Starting just to the right of the overlaps (to the left, if you weave left handed), secure the waxed linen and thread it from outside to inside in the next space. 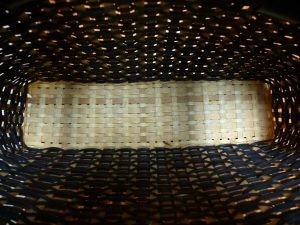 I lash a lot of baskets with waxed linen; I weave tight, I weave small, I weave with stakes close together – waxed linen works for me. 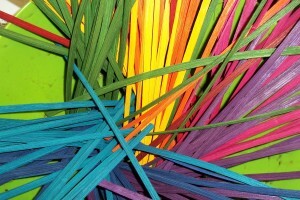 And I like the way it looks. 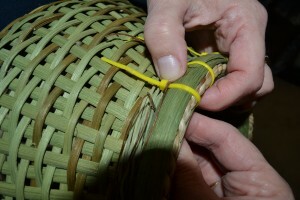 Lashing a basket with waxed linen is much like lashing with a length of reed, but there are some key differences. 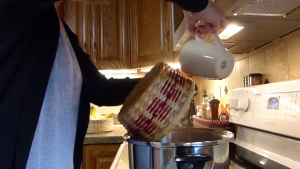 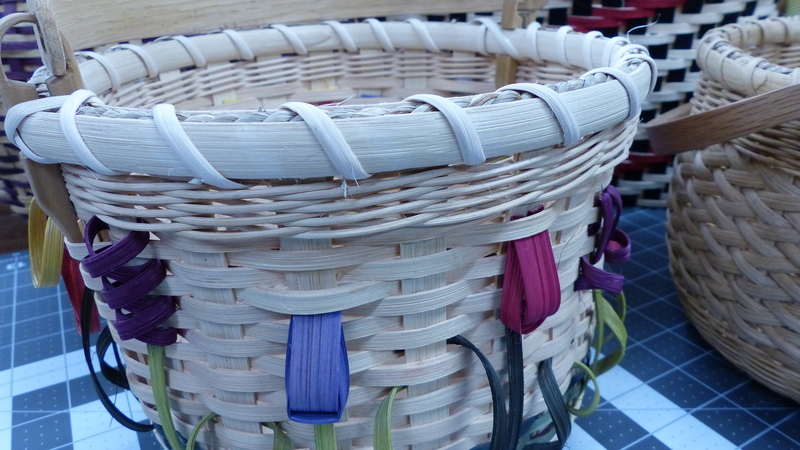 Waxed linen – I typically use 4-ply for regular sized baskets. Tapestry Needle – use a size that is easy to thread and not to large or to small for the basket you are lashing. 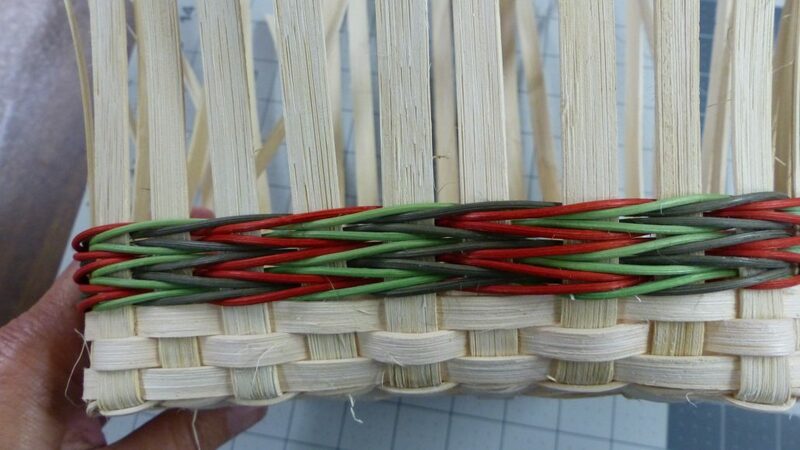 Cut a three – four foot length of waxed linen, thread your needle and, going from outside to inside, insert it into a space just to the left of your rim overlap (to the right if you are left handed and will be lashing from left to right). 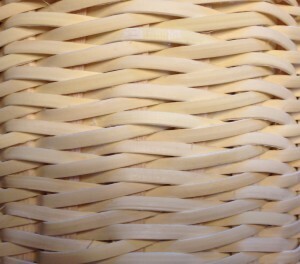 Pull the needle and waxed linen through until you have a tail of about four (4) inches on the outside of your basket.